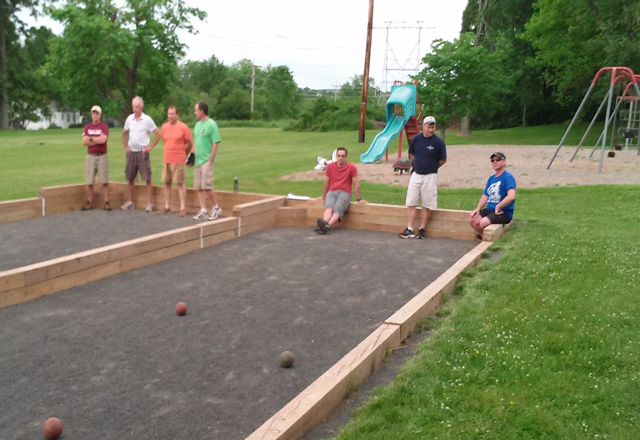 Welcome to the Bridgewater Bocce League (est.2014) This league is for people of all ages. We encourage the young and the young at heart seniors to join us for some relaxing but competitive Bocce playing. Come and learn how to play. Inexperienced players are encouraged to have fun and become skilled at this up and coming sport. Typical seasons run from the late spring through the summer and feature at least two matches per week. League wide play offs are held at the end of every season where teams have the opportunity to compete for trophies and fame. 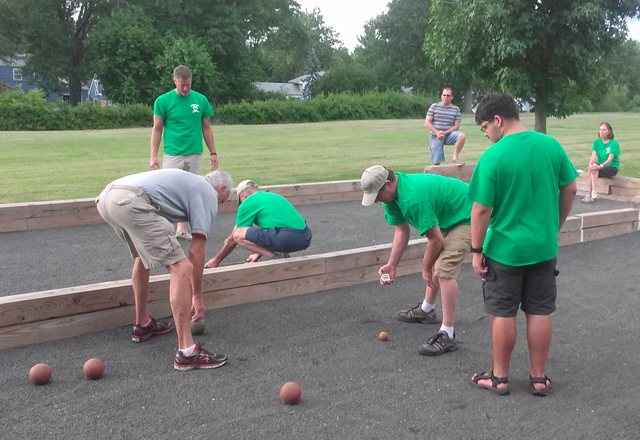 Thanks to Bridgewater Eagle Scout Frank DiMatteo, township residents now have a place to play the classic game of bocce. 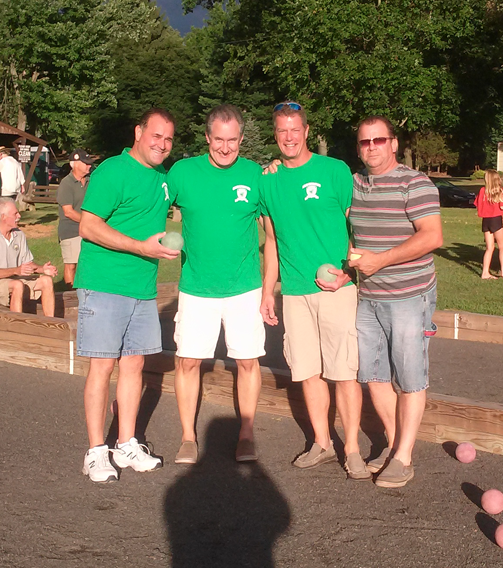 Frank recently completed the construction of his bocce court in Rolling Knolls Park in Bridgewater and celebrated the event with a ribbon-cutting ceremony attended by Bridgewater Mayor Daniel Hayes. Frank said he came up with the ideaof building the bocce court because he wanted to do something different for the community which would be family oriented. Want to join the league? That is great news! 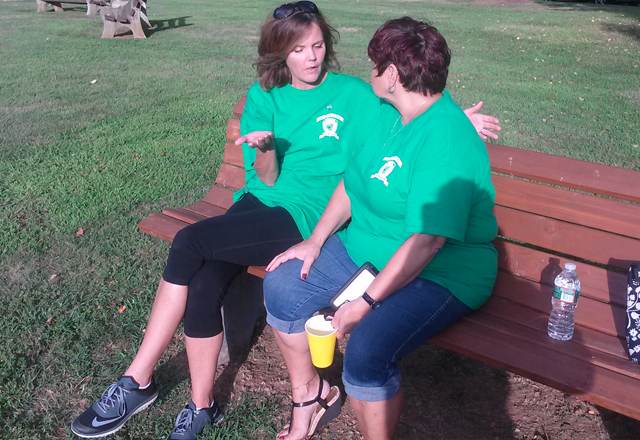 Bridgewater Bocce is always looking for new players and participants. The cost: $20.00 per person to join and you must complete and submit the membership form. More details can be found on our contact page. Matches take place on Wednesday and Thursday evenings from 6:30p.m.–8:30p.m. The league will run on a ten week schedule, with extended weeks for play-offs, starting on May 22nd 2019. On match days, scheduled teams will play three games per match. Each match has Seven points. Teams will be awarded 2 points for each win and 1 point for highest total score. 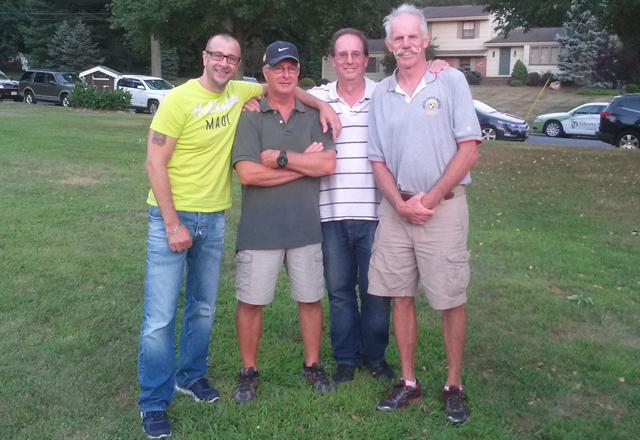 All league matches are held at Rolling Knolls park in Brdigewater, NJ. See the map below for more details. The deadline to register is May 13th, 2019. You must submit the required form and payment before that date. Memberships can be renewed or applied for on the "Join The League" page. The only way to register and pay is online via the "Join The League" page. If you do not know how to register online, find someone to help you who does; though the process is very easy. The deadline to register or renew a membership is May 13th 2019.